Some U.S. states with medical marijuana programs allow out-of-state patients to buy medical cannabis. The number of states accepting authorizations from other states is still small, but it is expected that these numbers will grow with time. Even though some states allow out-of-state patients to buy medical marijuana, this is an option of the dispensary owners. It is entirely up to their discretion to accept it or not, especially in stricter states such as Rhode Island and Michigan. You should call the dispensary before going it to find out if they sell medical marijuana products to out-of-state buyers. You are not allowed to just visit any Arizona dispensary and buy medical cannabis there. But fortunately, if you take your weed, you still get to enjoy the beauty of the state under the influence of marijuana without worrying about being arrested. The possession limits are of 2 ½ ounces of usable cannabis. More information about Arizona’s marijuana program can be found here. With the passage of Proposition 64, recreational and medical cannabis is now available for anyone with 21 or older and a valid government-issued identification. The possession limits are of 28.5 grams of cannabis flower and 5 grams of cannabis concentrate. Same as in California, tourists are allowed to buy cannabis if they have valid government-issued identification, and are 21 or older. The possession limits are one ounce for non-resident adults. More information about Colorado’s marijuana program can be found here. Having an authorization from your state to use cannabis or not, in Maine you can possess and use marijuana, and soon enough retail sales will arrive. The possession limits are of 2 ½ ounces for visiting patients, patients with a valid registry identification and a valid government-issued identification. More information about Maine’s marijuana program can be found here. Soon enough any adults over 21 will be allowed to visit in-state cannabis stores to purchase cannabis in Massachusetts. The possession limits are of 1 ounce of cannabis flower and 5 grams of cannabis concentrate for adults with valid government-issued identification. Michigan has an extensive medical marijuana program, and although you are allowed to bring your weed to the state, some patients of Michigan have faced harassment from law enforcement even thought they were not breaking any state laws. Nevertheless, do not flaunt your use unless you’re willing to take the risk. The possession limits are of 2 ½ of usable cannabis. More information about Michigan’s marijuana program can be found here. New Hampshire is just like in Arizona, you are allowed to possess 2 ounces of usable cannabis for medicinal purposes, but you are not allowed to visit local dispensaries.The patient must have the same qualifying medical conditions that are listed in New Hampshire’s medical marijuana program. More information about New Hampshire’s marijuana program can be found here. After Nevada’s legalization, you don’t need a MMJ card to visit a dispensary, and you are allowed to use your out-of-state card there. The possession limits are one ounce of cannabis, 3.5 grams of cannabis concentrate for adults with valid identification and 2 ½ ounces of the cannabis flower for patients with a recommendation. More information about Nevada’s marijuana program can be found here. With one of the lowest price per grams, any adult over 21 with valid identification are allowed to purchase cannabis in Oregon. The possession limits are of one ounce of cannabis flower, 16 ounces of solid infused edibles, 72 ounces of infused liquid, 1 ounce of cannabis concentrates and 16 ounces of cannabis topicals. More information about Oregon’s marijuana program can be found here. In Pennsylvania, any parent or guardian of a minor under 18 years old are allowed to buy medical cannabis from another medical state, which must then be administered to the minor. Unfortunately, the law that allows this will be repealed within two years. Patients can possess tinctures, topical creams, pills, and oils. More information about Pennsylvania’s marijuana program can be found here. Out-of-state patients are permitted to possess the same amount of medical marijuana as in-state patients. However, Rhode Island dispensaries don’t accept your out-of-state medical marijuana authorization. The possession limits are of 2 ½ ounces of usable cannabis. More information about Rhode Island’s marijuana program can be found here. Adults over 21, with an out of state medical marijuana card from certain states are allowed to buy medical cannabis in Washington D.C. The possession limits are of One ounce of cannabis flower, 16 ounces of solid infused edibles, 72 ounces of infused liquid, and 7 ounces of cannabis concentrates. More information about DC’s marijuana program can be found here. Looking to get a medical marijuana card? 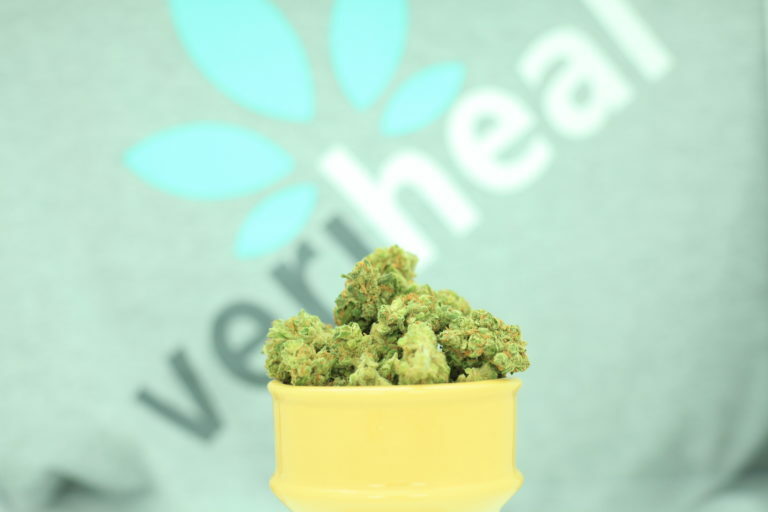 Veriheal can connect you with licensed medical marijuana doctors right in your area that can certify you for legal cannabis treatment. Head over to https://www.veriheal.com to get started today.